First a privacy statement , Needle Little Embroidery does not collect or transfer any of your private information. Nor does it store any of your personal data. All transactions are completed via PayPal where Needle Little Embroidery does not have access to your personal information. I do ask for your phone number on the order form solely for the purpose of contacting someone who has inadvertently entered an incorrect email address (YES, it does really happen!) which then sends an order to an invalid/non-existant address and therefore is never received. Or for such instances as a customer has a fussy ISP that blocks unfamiliar mail. Providing your phone number is optional, however please know that this is my only resort when trying to reach a customer for whom I receive an undeliverable message. This happens rarely, however I am ever so grateful to have a means of contacting a customer when necessary. Should you ever find that your order has not arrived 1st check your spam folder, and if it is still not found use the website contact form to contact me at Michelle@needlelittleembroidery.com I am always happy to assist! 1. How do I download my embroidery designs? 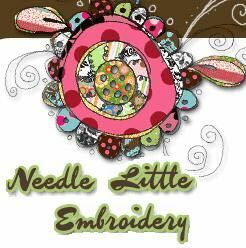 Needle Little Embroidery has instant download for your purchase at the end of your order process. There are 2 methods of download depending on your order. If you are trying a free sample from Needle Little Embroidery and are not making a purchase via PayPal you simply need to click on the word Continue that you see on the last page of the order process. This will open to a new page where you will find a list of your design/s. The list is a clickable downloadable link of your order/s. Simply click the link/s to download your design/s right from this page. You will also be sent a copy of your order to your inbox. If you do not find that it has arrived, please check to see if it went into your spam folder. This copy will also contain links of your order. Those links will expire in 24 hours. The best practice is to download at the end of the order process as outlined above. Upon completion of your order via PayPal you should be redirected back to the site for download. If the PayPal page does not automatically redirect you, look for a link on the last page of their process that says CLICK here to return to site. Clicking this link should automatically return you to the site and to the page that contains your download link/s. 2. Do you have a permanent history of my orders in case I need to download again? Keep this information along with your customer copies for future reference should you ever need to access your designs again. You may also change your password to one of your own choosing by logging into your account and following the instructions found on that page. Q: I don't have a Pay Pal account, can I still make a purchase? Q: I don't see my format, how can I get a design in my format? 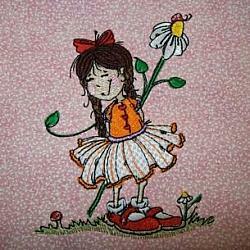 Q: Can I sell items with your embroidery designs ? A: Yes ! It's easy and you don't need to have a Pay Pal account to purchase. Pay Pal now makes it easy to use your credit card for individual purchases without ever creating an account. Use the checkout process as usual and follow the instructions from Pay Pal. A: If you don't see the format you need for a design please contact me. I can provide many other formats. For practical purposes I have offered my designs in the 5 most requested formats but others are available for the asking. A: Absolutely! 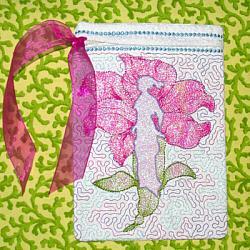 Please feel free to use my designs on items for sale. If you are a crafter , or have your own small business I only ask that you provide credit for the design included with the sale. If you sell via the web such as on Etsy, Ebay, your own site, etc. then a link to Needle Little Embroidery is required, displayed on the same page as your item for sale. Contact me and I will provide the link. 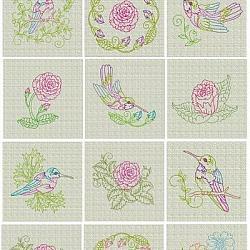 The copyright for all designs remain the property of Needle Little Embroidery. If you would like to sell a design commercially a license is requied. Please use the contact form for further information.